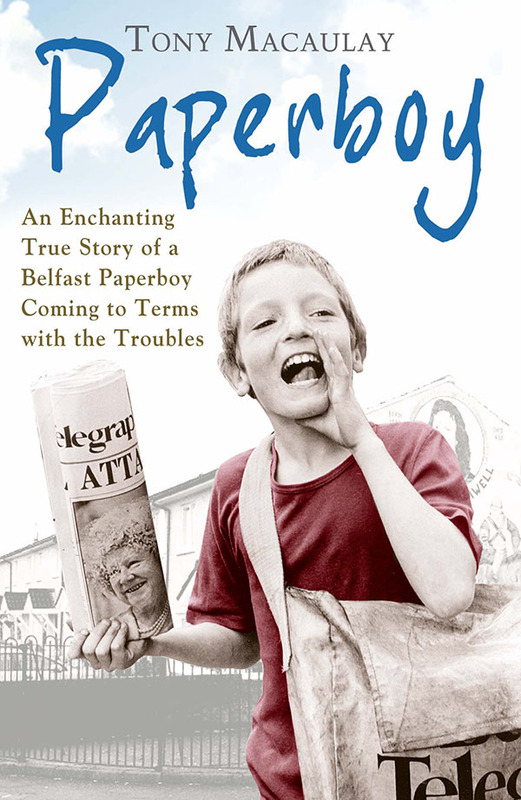 Belfast youth worker, writer and broadcaster Tony Macaulay read from his newly published memoir, Paperboy to an attentive, gently appreciative audience at the National Arts Club this past Monday. Sponsored by a host of Irish and American companies and institutions, including The Arts Council of Northern Ireland, The Irish Examiner, Imagine Ireland, NYSCA, Tourism Ireland, Aer Lingus, and others, the Reading was part of Origin Theater’s 1st Irish festival. Now in its fifth year, the festival presents new dramatic work by contemporary Irish writers. Macaulay uses his two years’ experience delivering The Belfast Telegraph to his neighbors on the Upper Shankill Road to structure a series of memories of daily life as a working class Protestant teenager coming of age amidst violent political and social conflict. We follow him through daily challenges and successes: winning the trust of his curmudgeonly newsagent employer, ‘Ol’ Mac’; avoiding his robbery-minded peers from the Lower Shankill; sibling rivalry (his domineering older brother, who secretly watches “Little House on the Prairie”). It’s a largely civil, pragmatic and polite world he inhabits: dutiful, like-minded adults who go about their business, children who respect or at least fear their elders. A common culture of work/church/sport is leavened by occasional celebrations and trips to a Protestant caravan site by the sea. When English soldiers begin to patrol the neighborhood roads, they’re welcomed in for tea and biscuits. Baking for the ‘visitors’ reaches competitive heights among some of the women. For members of the city’s dominant culture (i.e. Protestants), the British presence is seen as protection, rather than invasion, unquestioned by the author until late in the story. When he enters the Belfast Royal Academy following his Elevens + exam, and begins to travel independently, outside of his paper route, Macaulay’s sense of social structure and security in his known world is disturbed. It’s all for the better, as you’d expect; he discovers that class and religious distinctions are relative rather than fixed categories. Amongst his new middle class peers, he learns that his new peers consider everyone on his road ‘trash.’ (Heretofore, he’d thought of his Lower Shankill Road neighbors as different to himself and his mates on the Upper end of the road). His old friends wear tartan, platforms and follow the Bay City Rollers: his schoolmates play Rugby and look towards England for their identity. As an outsider by class in his new school, he forms a close friendship with ‘wee Thomas O’Hara,’ the school’s sole Catholic. He also begins to meet Catholics through membership in a youth orchestra. 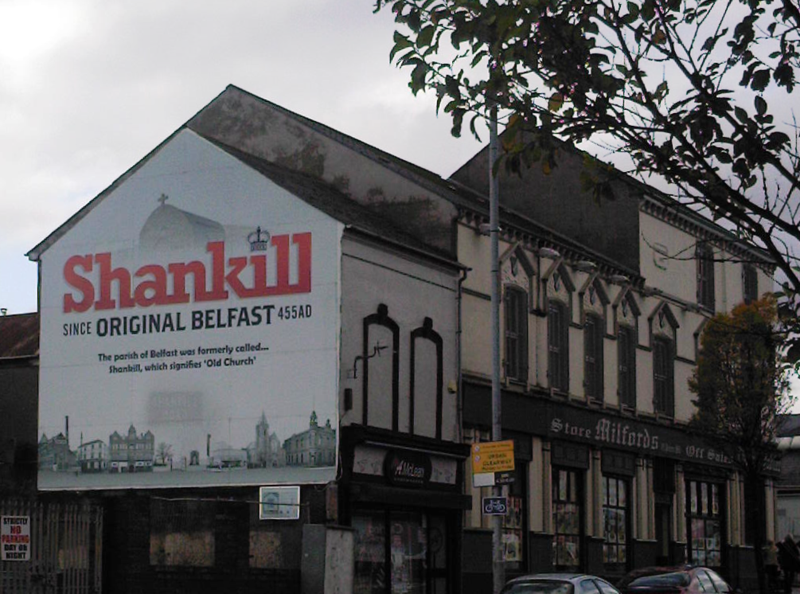 For a U.S. reader, unfamiliar with the strict territorial divisions of 1970s Belfast, it’s striking that up to age eleven, he’s never even met anyone let alone anyone who isn’t Protestant. Macaulay distances himself from the violence that casts a faint shadow over the background of his story. He is, he tells his readers early on, “Belfast’s only pacifist paperboy.”Aggression is, generally, Other, associated with menacing UDA and UVF men who live down the lower Shankill. But acts and signs of bigotry and violence lie in wait, close at hand, like the Orange Order sash he finds in the family attic. One friend’s father, a rumored UVF man, bullies local women into boycotting dairy products imported from the Republic and makes regular calls to see that the boycott is observed. (Overtly compliant, secretly resistant women hide the Galtee from him!). His own father keeps a pickaxe handle at the ready, and uses it brutally on a boy who robs Tony of his customers’ subscription money. We follow him through the turning points in awareness that presage his future profession as a peace/youth worker. His parents organize an outing for the local teens, bringing them out the country, away from the home turf. There a sing-along with “bearded Brendans” (ecumenically-minded Catholic priests) inspires the formation of a youth choir with a repertoire of peace songs. English-born authority figures, regardless of class or education treat him and his fellows as less-thans—in the words of one violin teacher –-“all f**king lazy little bastards in this godforsaken country.” A British soldier catches him jumping a wall one day and roughs him up, supposing him to be a Catholic schoolboy. The UVF burns city buses in the name of “saving Ulster”, while Provos fire at a troop of Protestant boy scouts (his own troop, in fact) while he’s safely away delivering papers. He tries to make sense of it all, and can’t. I could understand why the IRA wanted the Brits out and all, but I couldn’t understand how they decided who they were going to kill to get their way. It was dead scary, so it was. Loyalists were easy to understand because they just wanted to kill Catholics full stop, but the IRA had an ever-growing list of what they called ‘legitimate targets’. He returns to his own experience of his enduring friendship with Thomas O’Hara, finding it reassuring. It helps him to go on to acceptance life on its own terms–constant contradiction and seemingly insoluble conflict. Macaulay’s use of a teenaged narrator is largely successful as a storytelling device, albeit one which makes the story read like a novel in the Young Adult genre of literature. It’s engaging in a nonthreatening way, with its alternately earnest/ironic voice. We can relive our own teenaged insecurities and victories as we identify with his issues: struggles to survive bullying, earn social capital and parental approval, his crushes and first relationships and so on. The story works well on that level. On another, it’s frustrating, as the historical and political background to the story is limited to what a teenager is able to understand. As a view of an eventful time in recent history, it’s more of a porthole than an open window. For a broader, deeper scope, other voices and other histories are needed. The tone can be a bit cloying (for this reader), just this side of too happy-go-lucky to be credited. That said, it’s a good read, likely to interest those who enjoy reading memoirs and coming-of-age stories. nice article! thanks for inspiring me to read paperboy. the concept is really heart touching. thanks for sharing.